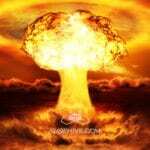 Infiltration Thriller Movie Trailer Sound Effects Library is on the scene and things are getting dicey. Disturbing. Spine chilling. Creepy. It’s the fear provoking visuals in movies like Stephen King’s “It” that are the inspiration for this total suspense, thrill inducing sound effects collection. Infiltration Thriller psychological sound pack gives you the power to unlock pure cinematic audio genius with over 500 studio ready sound effects; soundscapes, anxiety filled hits, impacts, attention grabbers, spine-chilling suspense elements, scare cues, designed string section risers, infinite risers, Shepard tones, transitions, whooshes, drones, atmospheres, signals and everything you need to create compelling mind-bending tension, high emotion promos, trailers, game scenes and unnerving audio experiences. If you are wondering what epic cinematic suspense sounds like, this is it. 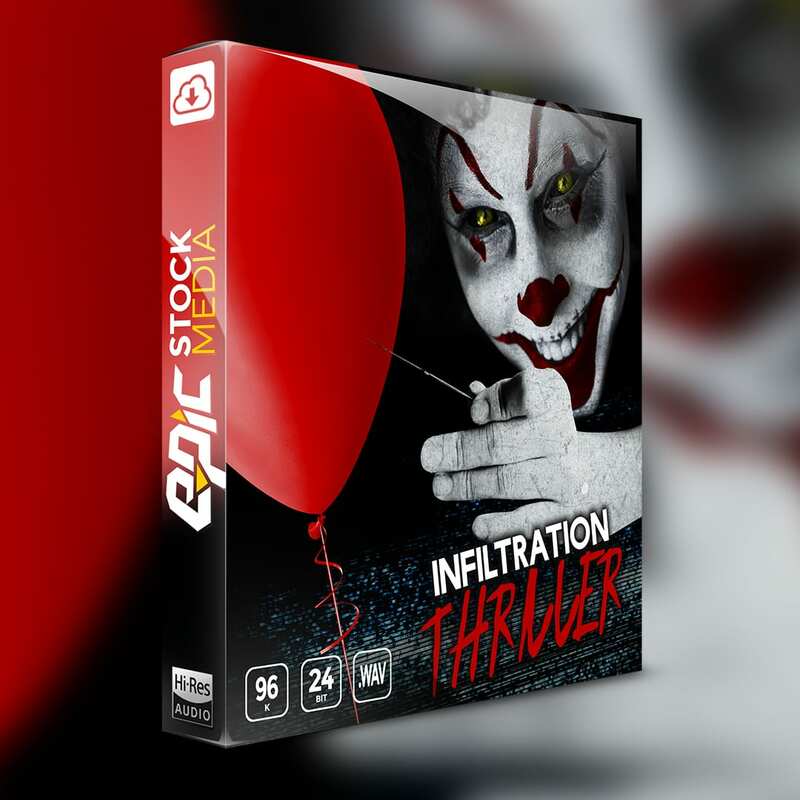 Infiltrate your next thriller project with more than 500 head-turning and ear tingling sound effects. Remember… be nice about it. Render some of the most disturbing sound effects into the psyche of your audience (victims). Epic string risers, glissandos and orchestral string section cues help you set the stage for an authentic big budget production sound, without ever recording a note. Tonal cues with double bass, and arco string section drones take your scenes to next level of movie trailer sound design. All of the sounds are delivered to you in 96kHz/24bit .WAV file format. That means you’ll have the best quality to maintain a top-notch level of clarity and precision for sound editing, pitch shifting, and effects processing. Infiltration Thriller also comes with 44.1k 16Bit .WAV and game ready MP3 versions of the entire library of sound effects so you can instantly gain access to whichever format best suits your project. Now you can be instantly ready for your next psycho-thriller sound production. That’s because Infiltration Thriller includes all the sound effect essentials you’ll need to create modern trailers plus, some of the most sought-after Hollywood movie trailer sound effects on the market like the infamous Shepard tone! Each sound is handcrafted and perfected for maximum dynamics and tension inducing effect. And the good thing is you don’t need gather your friends to investigate a haunted house to capture the frightening audio experience. Infiltration Thriller is ready to download and use right out of the box. It’s much much safer that way! Imagine you’re in the comfort and safety of your own production studio so no worries, right? As long as you pay no attention to those eerie shapeshifting sounds and the feeling that there’s something lurking around the corner, you’ll be fine. It’s probably just the cat… Or is It? 65 Shepard Tones – Ascending, Descending, Infinite Build Ups, Ghostly, Mind-Bending, Psycho & more – EPIC!